We are the pioneers of fabricating aluminum lorry bodies and steel half truck bodies equally to compete the advance foreign constructions of the entire satisfaction of Sri Lankan market. We are very proud and it is our curtsy to give due respect to the valuable great leading customers who were with us for the last thirty years in our carrier. We are very much happy to publish with www.matarabusiness.com a renewed website detailing on our past history and existing facilities, specially to give the utmost respect to our valuable great customers who are have contribute for save. Since its very began, U-SRI has relentlessly invested in the best technologies available. At the design stage, our CAD systems lead the field. 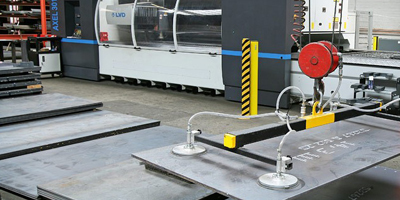 Whilst for manufacture, we have the best possible factory equipment, including laser cutting and profiling. What this means is that we can produce individual components or whole bodies more efficiently and with absolute consistency. As margins of error are eliminated, quality is maximized. With Whole Vehicle Type Approval looming, high technology body building is here to stay. As a result, U-SRI works very closely with all the major truck manufacturers and their dealers..
Thal Araba , Kamburugamuwa , Matara.